Its time to get your Goth on!- as today is world Goth Day!!! World Goth day falls on the 22nd of May each year and is a time to celebrate all things Goth. There are promotions, free downloads, streaming music, real life events and much more around the world- just log on to the official web site to find out what’s going on in your part of the world in real life @ http://www.worldgothday.com/index.html. 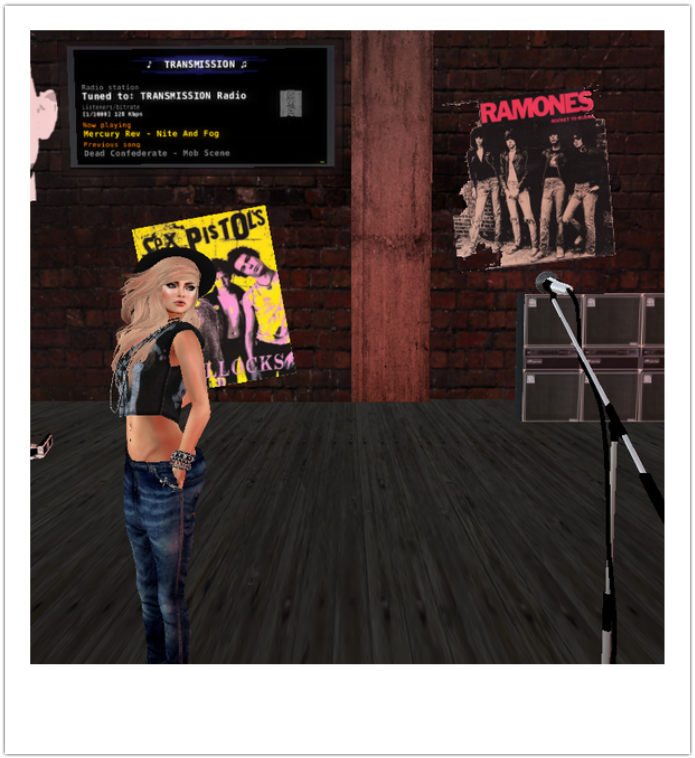 If you prefer to get your virtual Goth on then Second Life has lots to offer! The world Goth Fair is the official Second life event running from May 15th -May 31st on Cursed & Port Seraphine -two Sims packed with shopping and hosting musical events to benefit the Sophie Lancaster Foundation. 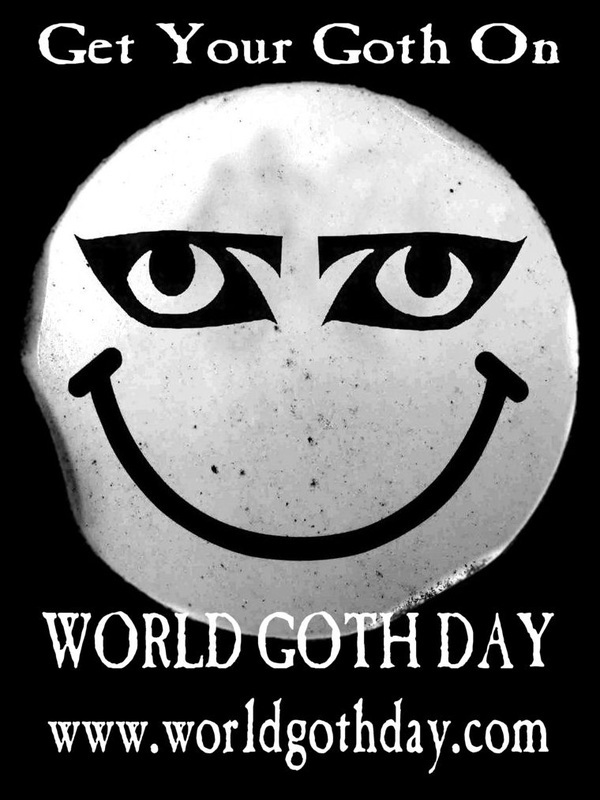 Happy World Goth Day – see you there!! In a world where conforming to the mainstreaming is the acceptable norm (and for some desirable) you will always find a thriving alternative counter culture driven by visionary individuals who strive to push the boundaries of society, art and music. This counterculture is both an exciting counterpoint and essential part of the artistic and spiritual journey for many of us who shy away from conformity and the drabness of conventionality. Music genres are difficult to define; the creation of music is an organic, flexible process - the end product a culmination of artistic vision, experimentation, musical orchestration and technical expertise. Artists frequently combine interchangeable elements or genres to give a finished musical product and this is what makes the classification of a particular style of music so intangible. If an artist includes a guitar solo is their track does this make it a Rock song? Or if there is the heavy use of dance elements does this categorise it as dance music? Not necessarily! So you see the essential dilemma? I would say that I love all things ‘Indie’, ‘Goth’ or ‘Alternative’ but what does that mean? I’m sure you have your own idea of what those genres symbolise for you as an individual but do you see it the same way I do? Perhaps, perhaps not! Who knows! independent record companies releasing music to fulfil the creative and visionary needs of their artists and supporters. The aim was not to get to the top of the charts but to provide the consumer with a much needed and desired alternative to the status quo created by the monopolisation of the music scene by the large music companies. This dramatic departure from the mainstream catapulted dozens of alternative bands developed by the indie labels into the limelight and spawned many more in the wake of their success. The journey from the relative obscurity of playing at student venues, basements and garages was not an easy fit for many of the bands, their foundation had been anti-establishment and this new found recognition and financial reward saw many of them struggling to come to terms with the loss of identity and artistic integrity commercial success brought with it. The tragedy of the American band Nirvana is a striking an example of the reality of massive commercial success. The inevitable demands of the music industry and the pressure exerted by an adoring public had a devastating effect on the psyche of fragile front man Kurt Cobain culminating in his suicide at the age of 27! In stark contrast many bands embraced their new found recognition and success and the indie/alternative scene has continued its metamorphosis in the decades since its conception retaining at least some of the integrity and anti-establishment sensibilities from which it was born. I am not going to bore you with a list of bands which the music establishment considers to fit the alternative/indie definition or give you examples of what Transmission streams. The words used to describe a song or piece of music will differ dramatically from person to person; the individual experiences of that person, the place in time from where they are experiencing it and the uniqueness of self will all effect the outcome of the experience rendering it unique and extremely personal and difficult to categorise! There is a fair at the Nest run by CHIC Management at the moment, some cute items so run by and spend those Lindens!! I came back from vacation on Thursday and of course I need to get back to blogging \o/ I hope to bring you some cool items but for now just a quick post to let you know that COLLABOR88 will move to a new sim on the 8th of September 2012 @12 midnight SL time. This is an exciting time as there will be lovely new stuffs for me and for you \o/ !!!!!!!! I am a big fan of COLLABOR 88, It is a great destination for fashion forward apparel, jewlery, accessories and homewares. This designers group showcases new items for purchase monthly so the content is always fresh, new and exclusive to purchase before it hits the designers own stores.